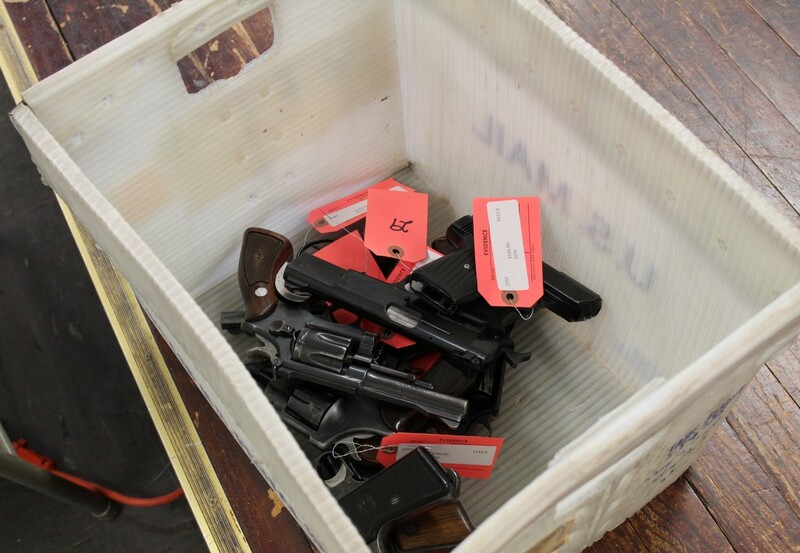 A Chicago police gun turn-in event in Austin over the weekend netted nearly 100 weapons. Hope Community Church, 5900 W. Iowa, hosted the event Saturday. Of the 65 weapons brought in, 39 were handguns, 18 were shotguns or rifles, and eight were replicas, including BB guns. An assault weapon was also collected. The city hosts gun turn-in events across the city, with citizens receiving a $100 gift card for real guns and $10 for replicas. A total of 458 guns have been collected so far this year at turn-in events, according to the Chicago Police Department. Last year’s totals were just over 1,800. Since its launch in 2006, the buy-pack program has collected some 30,000 weapons and distributed about $2 million in gift cards. The guns are later destroyed by the city. Police and community officials say the events are a way to get guns off the street while providing citizens an appropriate way to dispose of them. “If we can remove one gun of the street, it’s a success; the more we can remove makes it even better,” said Eric Washington, deputy chief of Community Policing for the Chicago Police Department, who oversaw Saturday’s event. Guns are collected with no questions asked to those bringing them in. Chicago police officers collect, catalog and safely secure the weapons. 15th District Cmdr. Dwayne Betts, who was at Hope Church Saturday, said these weapons could easily end up in the wrong hands if not for the buy-back program. “These guns, if not otherwise turned in, could end up in the hands of someone committing a crime or used in accidental injuries mishandling a weapon,” Betts said. Saturday’s event was the second hosted by Hope Church. The church’s pastor, the Rev. Steve Epting, said last year’s event collected more than 100 guns. “We’re not asking people any questions about where the guns came from. We’re just providing a safe place where they can come in so we can get these guns off the streets. That’s all we’re trying to do,” Epting said. While police and city officials encourage neighborhood residents to bring in guns, they acknowledge that people outside of those communities are also turning in weapons. Hope Church member Catrina Singletary, who volunteered at Saturday’s event, said she’s seen a lot of people who don’t appear to be residents bringing in guns. Still, Singletary said the more guns taken off Chicago’s streets, the safer communities will be. 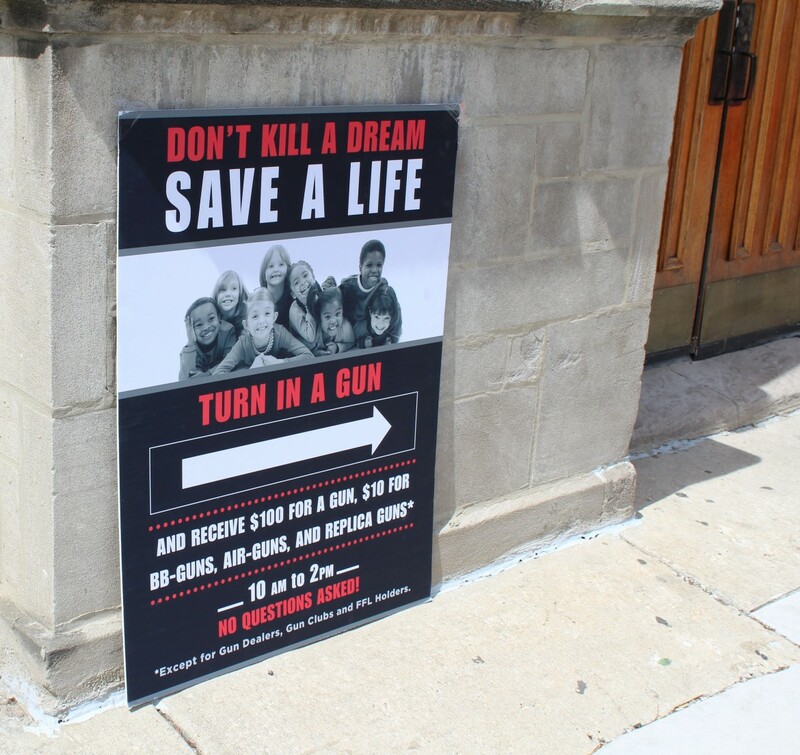 Her North Lawndale neighborhood has lost three youth to gun violence in just the last week. “That’s one of the reasons why I can out, to be a part of the process of stopping the violence,” Singletary said. The city is planning another gun turn-in event for May; the date and location have yet to be determined. Santa Claus made an appearance at the annual tree lighting and parade sponsored by the Austin Chamber of Commerce. The back-to-school celebration runs from 2 to 7 p.m. Aug. 29th at 5701 W. Madison. There will be giveaways, physicals and haircuts, food and more. Last weekend's discussion, hosted by state Rep. Camille Lilly and Cook County State’s Attorney Kimberly Foxx, addressed public concerns about the criminal justice system and community policing.